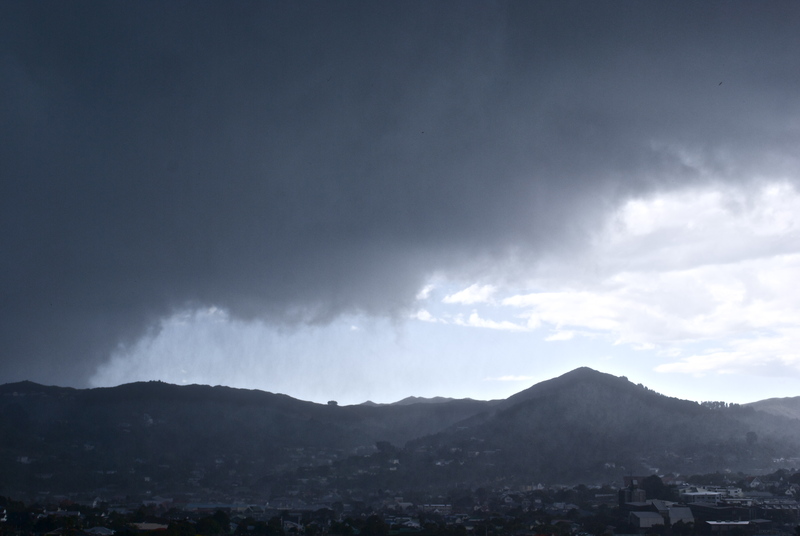 Karori Cemetery: The Plaque Field, pathway upon stretching pathway of grave sites…and, just around the corner, a different kind of ending. 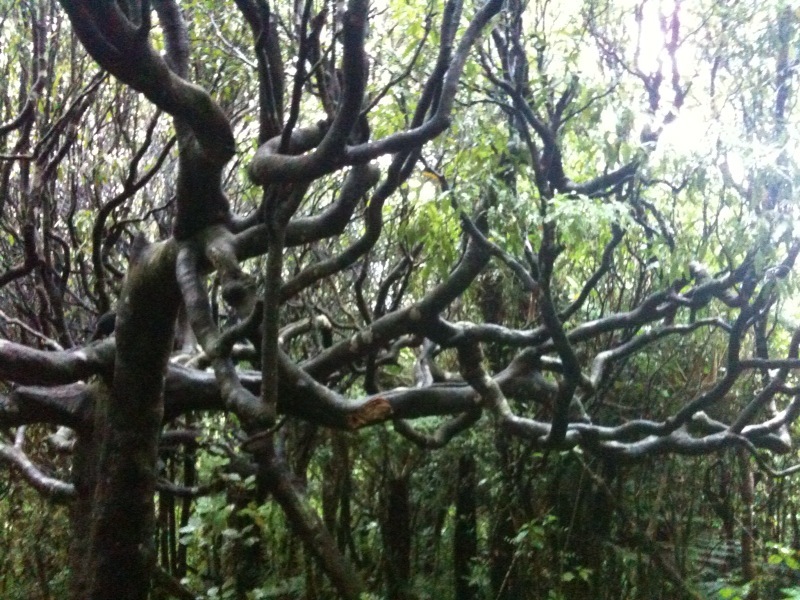 Lost in the middle of the dripping wet bush near Karori Cemetery, I stumbled across this weird looking beauty…. 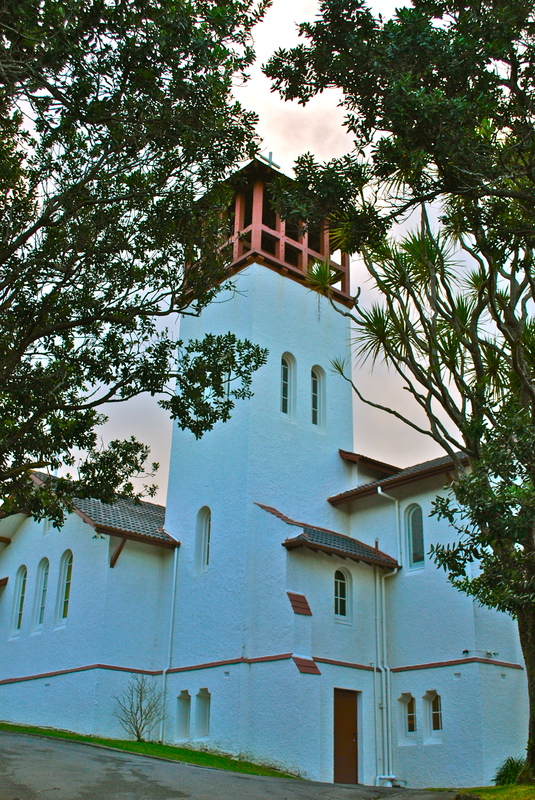 I like the hint of Autumn sky behind here, and the way the branches frame the tower. 2. 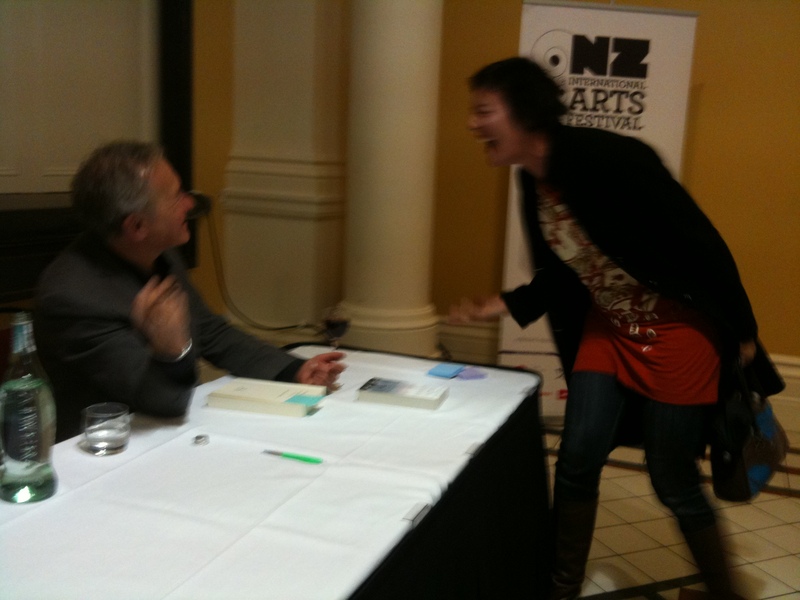 Weather bomb arrives in Karori, blocking out the sun, followed by (3) Simon Schama and I laughing about how quickly he name-checked my Karen Walker dress. 4. 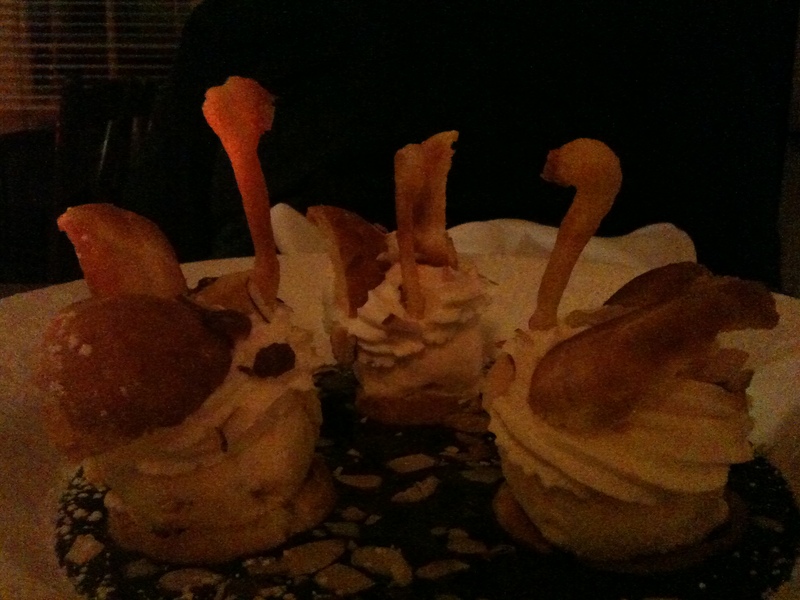 Duck-shaped profiteroles at Le Canard in Wellington (mais bien sur!) 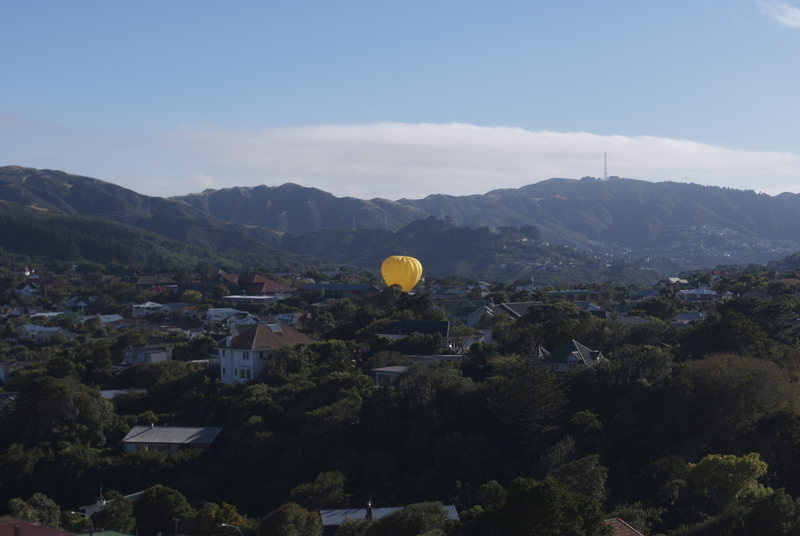 – and (5) a balloon peeks out from the Karori ‘burbs. 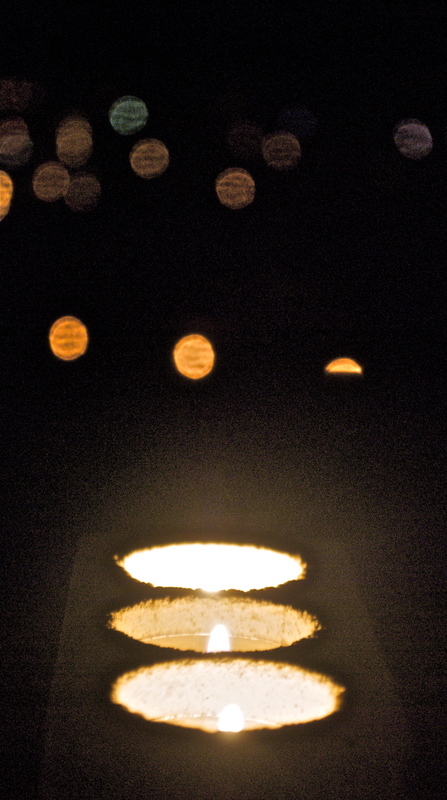 …when you swing the camera around at night with a sl–o–w– shutter speed and the aperture open as a farm gate. 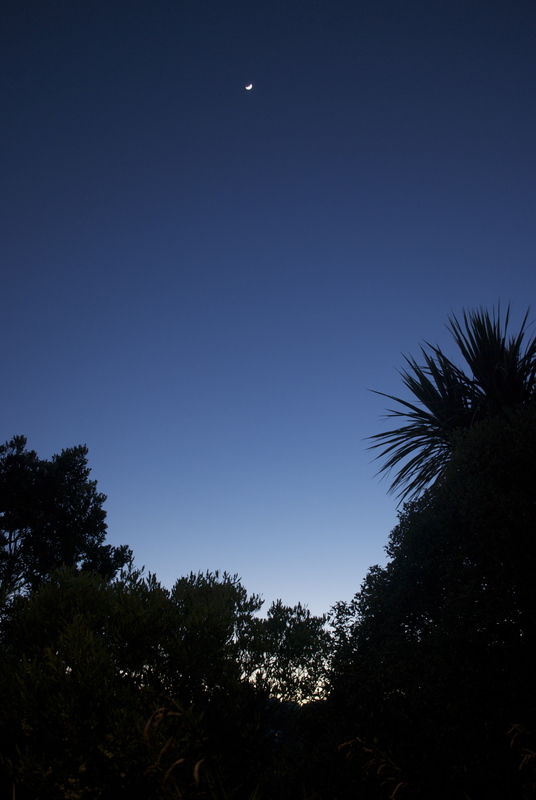 This is the view of Karori from our deck at night. No, really. Fly the flags. 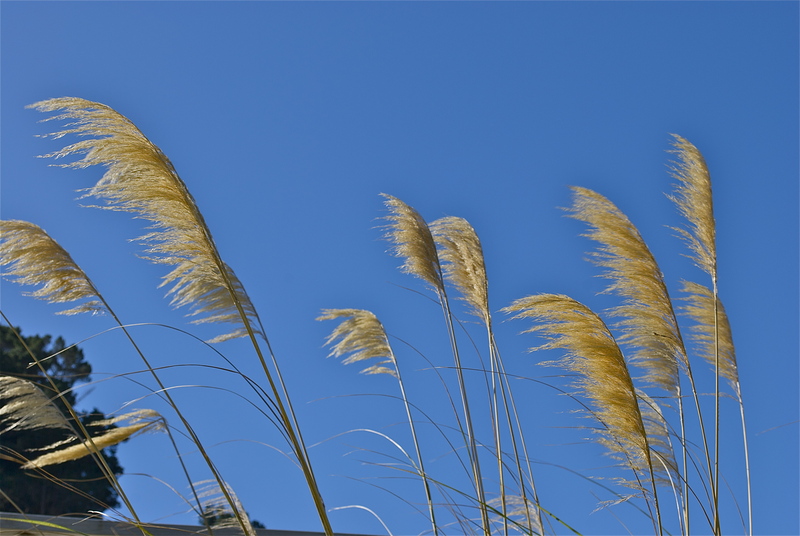 Celebrate a beautiful day. Escaped the office, collected the girls and headed to the park.